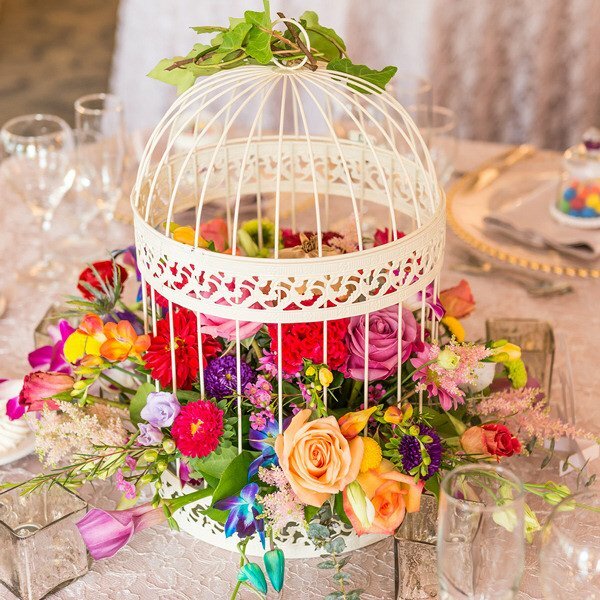 A timeless decoration for your reception, our Decorative Classic Round Birdcage fits into many themes and adds a vintage touch to your event. 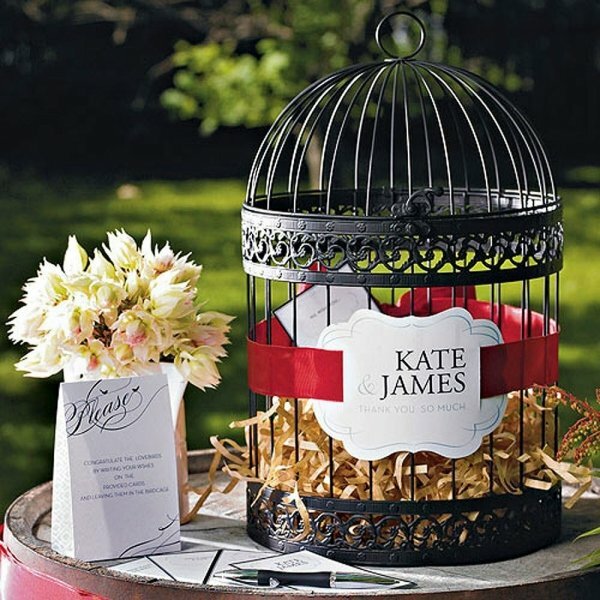 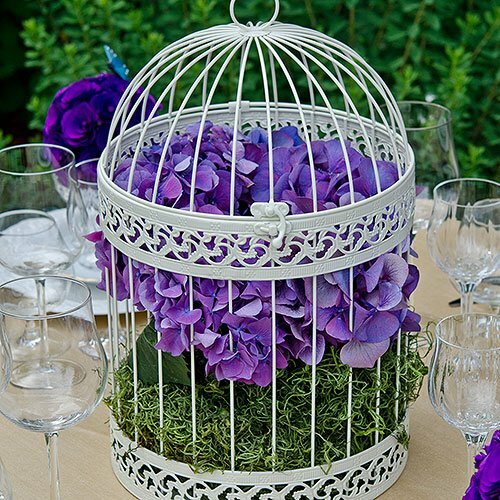 Cage can be decorated with flowers, faux feathers, ribbons and more to match your wedding day colors. 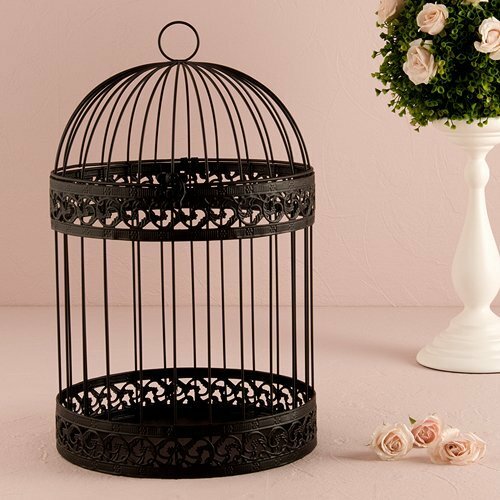 You can also use this as a birdcage wedding card holder or as a wishing well where your guests can leave their written wishes for the bride and groom. 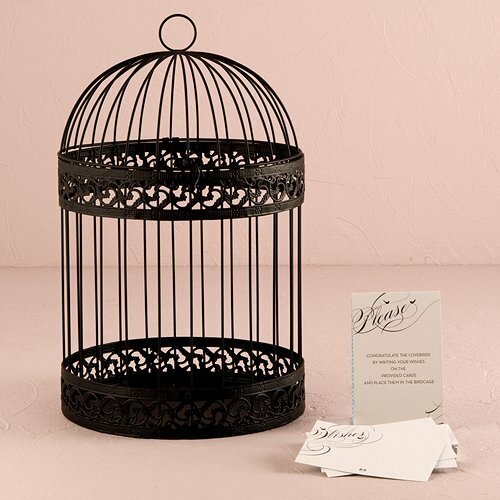 (Wish Cards can be purchases separately Item # 1116-05). 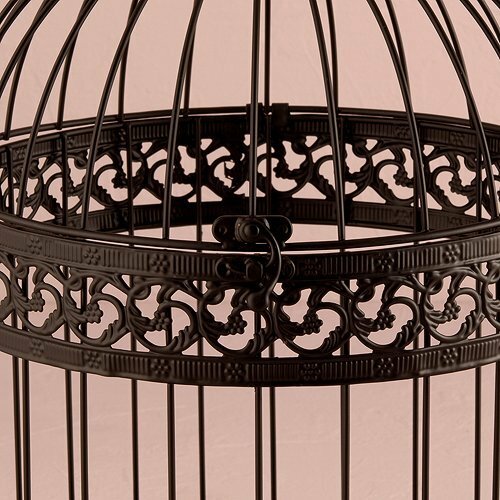 Measures 10" in diameter x 16 1/2" tall. 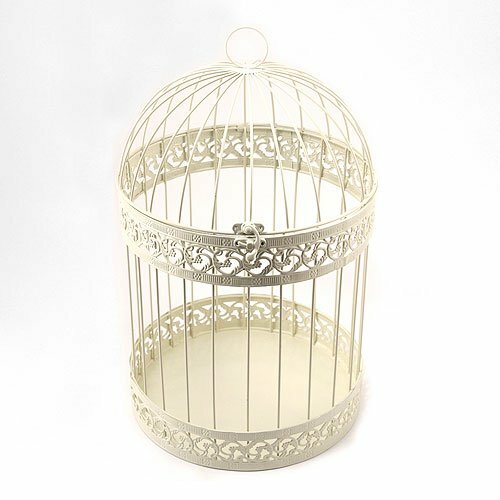 Note: Decorations in and around birdcage are for example purposes only, no decorations included. 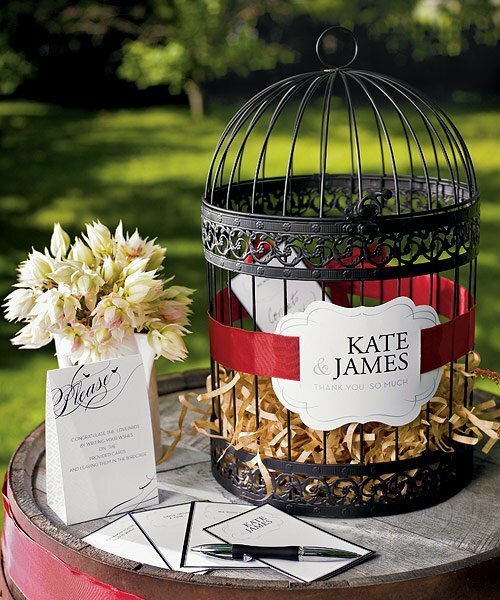 To purchase the personalized paper medallion look for item 1115-45.